This vase pulley system is an innovative way of storing and displaying flowers. You park your bouquet in a plastic vase whilst you finish off your shopping. 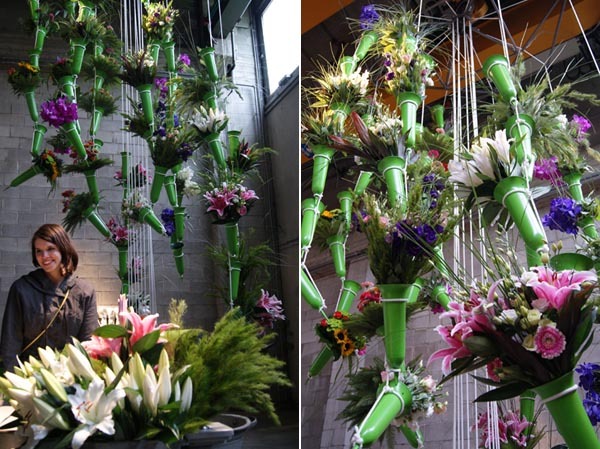 It's then hoisted up via a pulley to join others in a striking cascading floral display. When you've finished your shopping and are ready to pick them up they are gently lowered back down again, and off you go!